Now, the possibilities are immense. 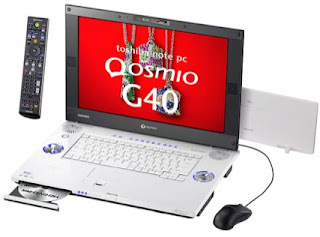 Watching high quality HD movies/programs is possible in notebook portable computers. I came to learn that one could easily record the live transmission and shouldn't be really worried about the storage though. I mean this beast has everything new,one could ever imagine in a laptop. But, it's pricey and bulky,approximately over $3500 and over 10 pounds and you really need to have big pocket and big muscles to handle it. Next week, it's going to be launched in Japan. I don't know and have no idea when it would come to USA or other part of world. My local toshibadirect.com has no info about it.